How did you first get interested in photography? How long have you been shooting? Mike Sakas: I am sure I got into photography the way that nearly everybody else in the planet has for the last hundred years: by looking at the magazine with the yellow box on the cover. Boy, I want to shoot for those guys. When I was little, my grandmother bought me a set of twelve hardcover books put out by that magazine and I am sure to this day that those were the first books I ever read cover to cover. Ever since then I have taken in images wherever I can find them and my life has always been about discovering things and seeing/experiencing new things. I also blame that yellow box for that. You capture images across different genres (people, street, landscape, documentary). What do you personally enjoy shooting the most and why? I love photographing (and by proxy having) experiences. I think this world and this life is pretty amazing especially the stuff that is full of emotion or that has an incorporeal charge to it. To pin it down, I guess you could say that human interaction or just plain humanity is where I start and that comprises the bulk of my subject matter. Even an image of a landscape devoid of any people is still about human interaction because there was somebody there, seeing it, experiencing it — me. I think I use photography in two main ways. First, I use it as a tool to investigate my subject matter in much the same way a scientist would use a microscope to examine a tiny part of a huge organism. It is a vehicle for looking at or experiencing a thing in a different but very intentional way. Second, photography is a mode of reflection or contemplation of a subject similar to a written journal. In a way it is a method for interfacing with an experience from a kind of detachment — in certain ways — that is paradoxically hyper focused and engaged in other ways. Are there any photographers who inspire you? If so, who? My list of personal favorites and influences are changing nearly every day. If you browse 500px, Imgur, or Google images, you will see so many images that are truly breathtaking. World Press photo awards, Communication Arts, Sony World Photography awards, FOAM, ICP, or PDN 30 will be chock full of amazing new inspired photographs from all over the world by people you have never heard of. A little intimidating sometimes but also invigorating. For me, I have always had an interest in classic photography, fashion, and portraiture but my tastes are not that narrow. I will look at just about anything for inspiration or beauty. I could list for you the typical influences or artists whose work I appreciate or love. Nowadays I go on an internet binge (like I referenced above) and will create a folder of bookmark links to images that I find instructional or inspirational to me now and I will look at them for a few weeks or months and then I will scrap those images and look for more. 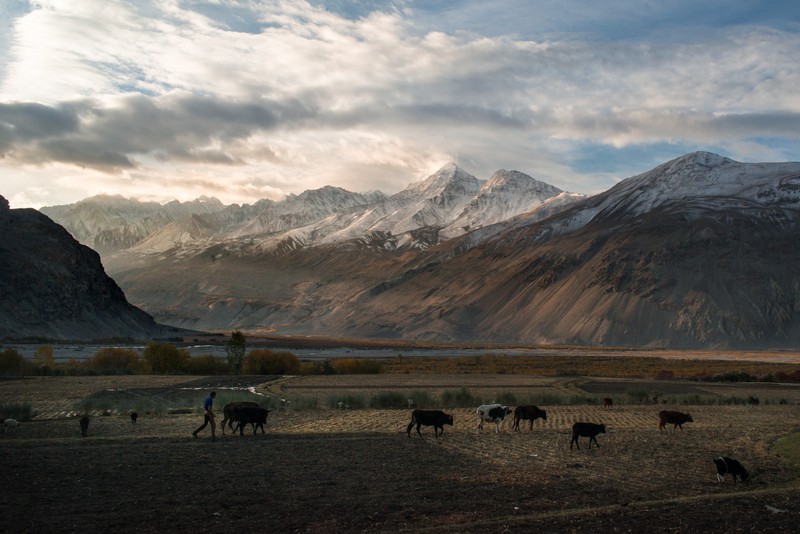 Your Tajikistan images are spectacular both in composition and style. Truly stunning work. Can you tell us a bit more about this project? 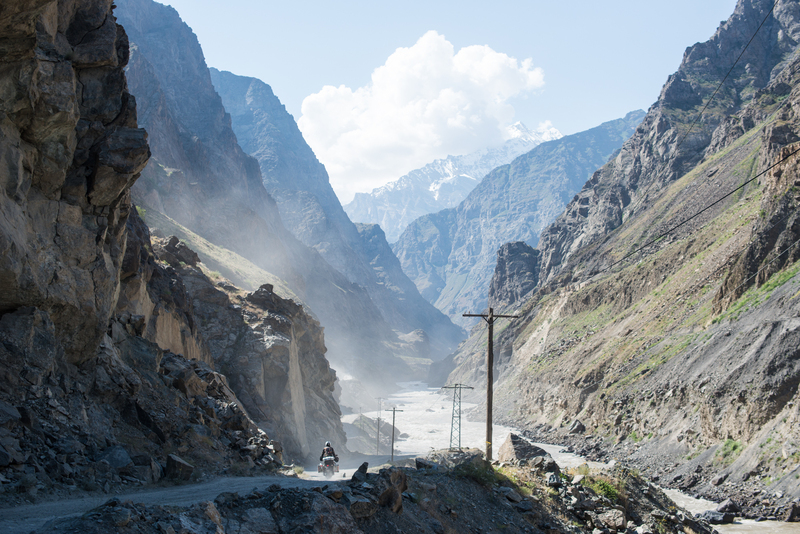 What motivated you to travel to Tajikistan? How did this project come about? Thanks! The experience was so amazing and the landscape was truly overwhelming that I hoped I could capture one-tenth the splendor of my time there. The trip actually happened because of a series of workshops I assist in teaching all over the world. We go to developing nations (mostly) and teach high school aged students photography and storytelling. 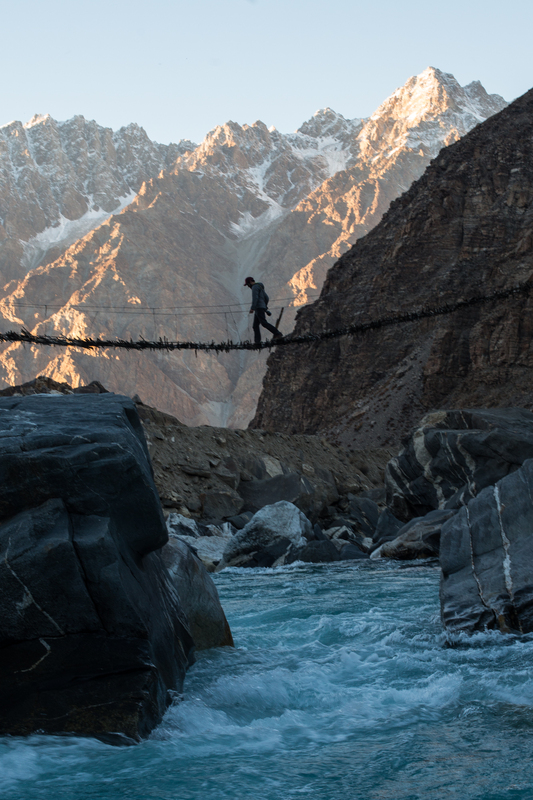 On our first trip to Tajikistan, I was able to get a close friend of mine, Tony Czech, to join the team and we decided that if we were going all the way to Tajikistan that we definitely had to take a few days to go off and explore the country. 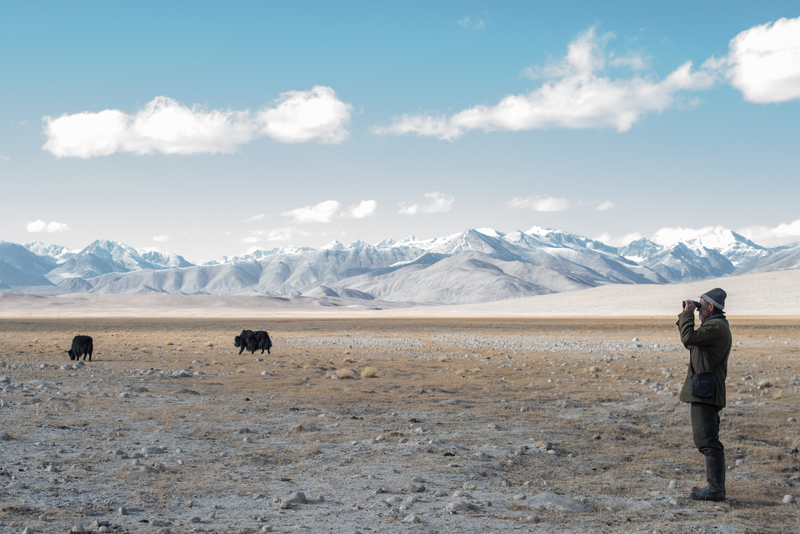 Our first major goal was to find and ride a yak. Aside from that, we were planning to do a reccy for the motorcycle trip we were both dreaming of. So we spent a week after our workshop was finished, hired a truck and one of the students to be our translator, and off we went. We were not huge guidebook people and were hoping to find some way off track so we just stopped and asked people along the way. 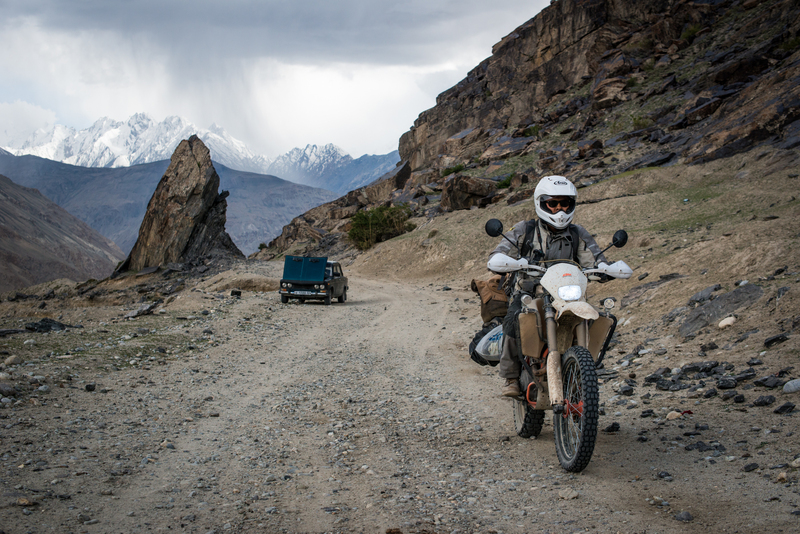 After our scout trip we decided that someday, somehow, we were going to come back here and ride motorcycles through this magnificent, ancient, and rugged landscape. As fate would have it, our team was invited back to neighboring Khazakhstan only a few months later to do another workshop. Tony wasn’t available to come along on this one as he was on assignment in BC shooting a mountain expedition, so I asked another buddy and amazing shooter Kevin Vu if he wanted a crack at it. He said yes and that’s the astronaut looking guy in the photos. For us, the trip was about the adventure and the adventure was in the landscape, the logistics, roads/riding and the people. What do you hope your viewers will get from your photography? Maybe this is not the “right” thing to say, but I honestly do not think too much about what other people will get from my images. When I am in a place and photographing, I am striving to accomplish two things. First, that I be present and aware of what I am looking at and to take in every visceral detail possible. Second, that I can capture as many of those details in a visual representation as possible — what something smells like or feels like or what it sounds like. When it is all done and I am home editing and sharing the images, I hope desperately that viewers will get a sense of that when they look at my images. However, like I said, when I am out shooting I just try to stay as keenly present as possible. Are you working on any projects? You have traveled and photographed all over the world. What is your perfect adventure? We used to do this thing every summer at a buddy’s family cabin outside of Buffalo. A bunch of photographers, musicians, designers, dancers, models, and painters would come together for a week or two and we’d have “Art Camp.” We called it Thunderfest and it was essentially a group of people sleeping out in the fields and woods around the cabin making photographs, barbequing, swimming in the pond, building bonfires, exploring, and sharing stories. The work that came out of that week or two was always transformational for us and it was such a great time of creative adventure. My perfect adventure would probably be something like that but more grown up. Have six to eight of my favorite friends — all creative types — to go somewhere that is beautiful and exciting, and to spend a couple weeks living with vigor, creating work, and having adventures. A week living in a cave? Cool. Traveling by pickup or Tuk-Tuk through the jungle? Sweet. An abandoned house on a deserted beach? Great. So long as we had space, freedom, adventure out the door, and maybe a little bit of whiskey. Do you have any advice for an aspiring photographer? I do not know about advice but I tell myself this a lot. The only difference between you and the guys doing what you want to someday be doing is that they are doing it. By that I mean, don’t focus on being the big magazine or agency star photographer photographing whatever they are photographing. Go out and photograph what really gets you pumped. Go make the work you dream about making regardless of whether or not someone is paying you for it. Want to shoot adventures? Go on an adventure. Concerts? Go see some and find a way to shoot them. Anything. If you go out and photograph your brains out, eventually somebody will recognize your work and the money and success will follow — so long as you share. In the worst case scenario, you do not make a ton of money as a photographer, you’ve still had a great time, and created images that are important to you. Thanks for being our featured photographer of the week, Mike! For more information about Mike, visit his website. All images © Mike Sakas. How did you first get started in photography? How long have you been shooting? Chris König: Around four years ago, I bought a camera to film some of the sports like climbing and running that my friends and I were doing. After a while I found myself constantly taking pictures of them and forgetting to film the whole thing. From there, my interests expanded into travel, adventurous lifestyle, and definitely the human interest such as in my Morocco photos. You enjoy taking portraits the most. What is it about portraiture that appeals to you the most? It is absolutely great to make that connection with someone. In the beginning I tried to capture people with a long telephoto lens so they would not notice I was there. I wanted to capture genuine emotions and day to day life. However, it was absolutely not satisfying to take pictures in this ‘sneaky’ way. So more and more I tried approaching people and asking to take their photo. The more I took photos, the more I found that you can put people at ease in a really short time and let them just do their thing without them paying attention to you. Of course, not everyone is interested in being in my photos. However, when they are it is so satisfying to have that interaction and connection with them, to share a laugh and to give them their own picture afterwards (by mail usually when possible.) 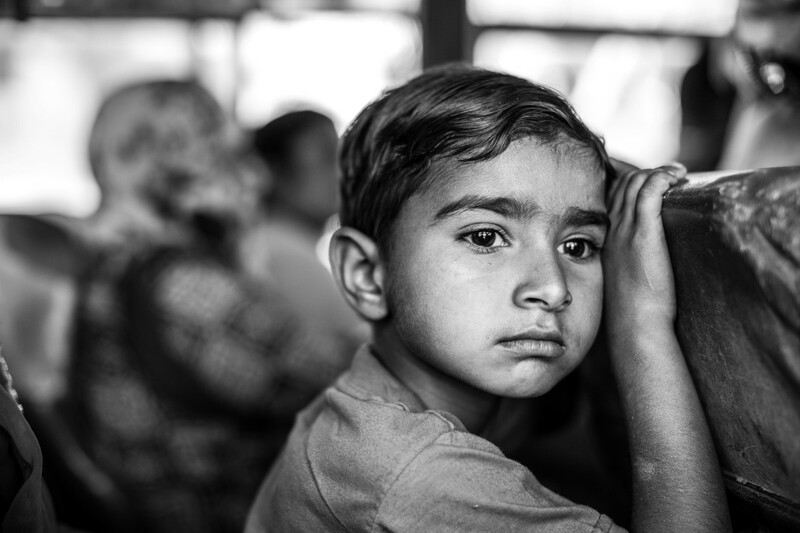 I just love to capture emotions and show people how similar everyone is in certain ways all over the world. 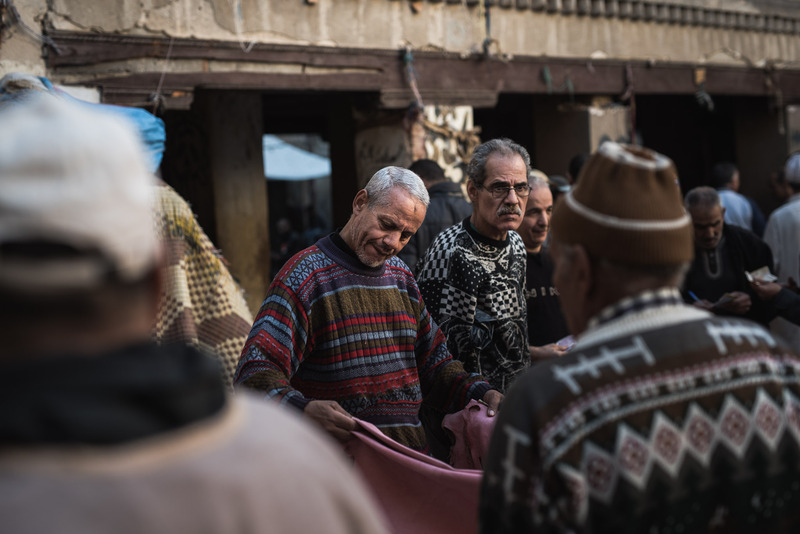 Your “Fez: A Moroccan Experience” series is fantastic with vibrant light and skillful composition. How did the Fez project come about? 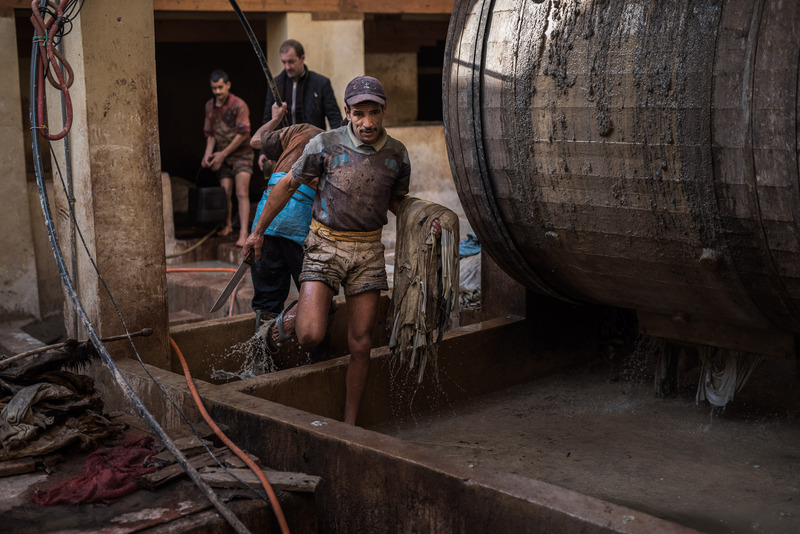 What inspired you to go to Morocco and take these images? I think it is important to keeping working on personal projects to improve yourself. At the same time, I just love to experience some new adventures. When you are flying in between seasons, tickets can get fairly cheap and I arrived in Morocco basically not knowing anything. Of course, it is useful to know how to get around, where to sleep, what kind of money you need, etc., However, on previous trips (including six months in South East Asia), I found myself in the most amazing situations when I did not plan ahead and just went with the flow. I like to think of these projects as small personal challenges. While making this series, did you encounter any challenges? If so, what were they? Although it is great to not have a plan, it can also work against you. The Medina (old centre) of Fez contains more than 8000 small streets and it can be quite tough to find your way around there. Sometimes I thought to myself, “I have to go back to this place during the sunset because it will be perfect with the right light!” But of course I could not find the place afterwards anymore. During those times, GPS can be helpful. On the other hand, the unsuspected situations and getting lost might get you into some perfect moments as well. 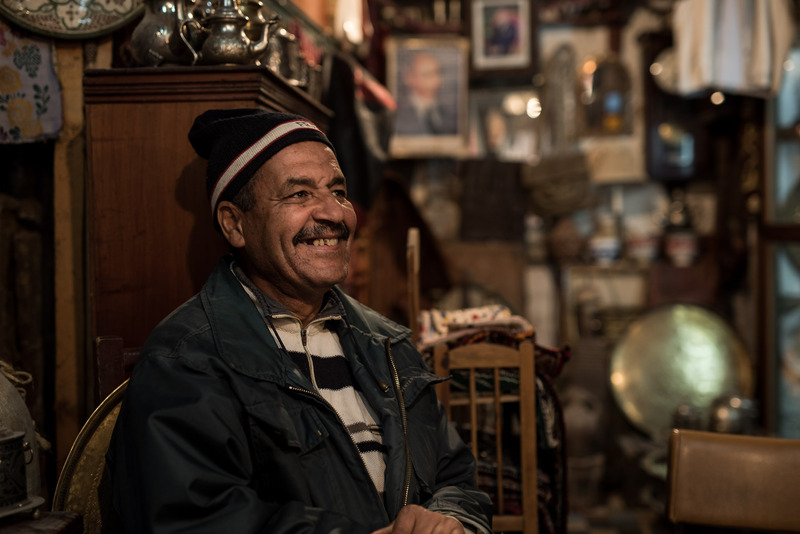 What was your experience like photographing strangers in a different country such as Morocco? How did you connect with the people? 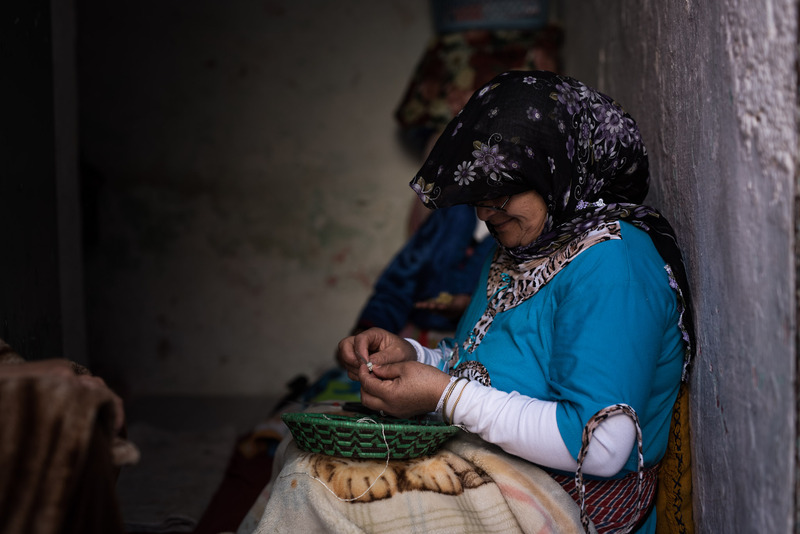 When I arrived in Morocco and spoke to some people on the bus en route to the city, more than one person told me that it was difficult to photograph people in Morocco as they generally do not like it and think all pictures are going to be misused. In the end I did not come across people who were reluctant. I think the lesson I learned from it is that the connection you make with someone is even more important than what is ‘normal’ in their culture. Even though there is a huge language barrier (I do not speak French or Arabic and they did not speak English) the moments of eye contact, a little smile, and patience bring you quite far. Usually I just wait around a little bit when I see something interesting happen. By being interested in the actual moment while your camera tucked away inside your bag, people tend to be more open for interaction. I found that walking up to someone with your camera already in your hand makes it so much more difficult to get the picture. Just go for genuine interaction and something good will come out of it. It is more fun anyway to work with ‘real people’ instead of just seeing someone as a subject for your picture. As I mentioned before, handing them their own picture whenever possible is a great gift for most people. Are you currently working on any new projects that you can tell us about? Since I just returned from another project in South Africa, there are fewer projects scheduled in the portrait category for the next two months, but I hope to go to a nice Scandinavian country in January or February to capture those beautiful snowy landscapes. It is so relaxing to just hike all those kilometers in order to find the perfect moment. Are there any photographers whose work have influenced you? Portrait-wise a huge inspiration is Joey L. He is only 26 years old, but he has already done so many amazing projects. Earlier this year he went to a war zone in Syria to portray the women fighting on the front lines. I think the combination of his beautiful lighting/composition, willingness to take risks, and passion for human emotions is just amazing. It is a true inspiration for me. Do not think too much about what you want to achieve later on. Just go out and shoot a lot and along the way you will find out. I spent so much time watching tutorials and learning about everything, but I think it is much better to just learn while doing. For more information about Chris, visit his website. All images © Chris König. Nina Strategier: Since I can remember, I often took a simple camera with me wherever I went. When I was about 17 years old, I was thinking about studying photography at art school but they did not accept me. I decided that it would not be a good profession as it is so expensive and really hard to make a living out of it. Over the years I was still taking pictures and getting more and more into it. I actually did not study that much (yet) but just learned by doing. I still have to learn a lot. 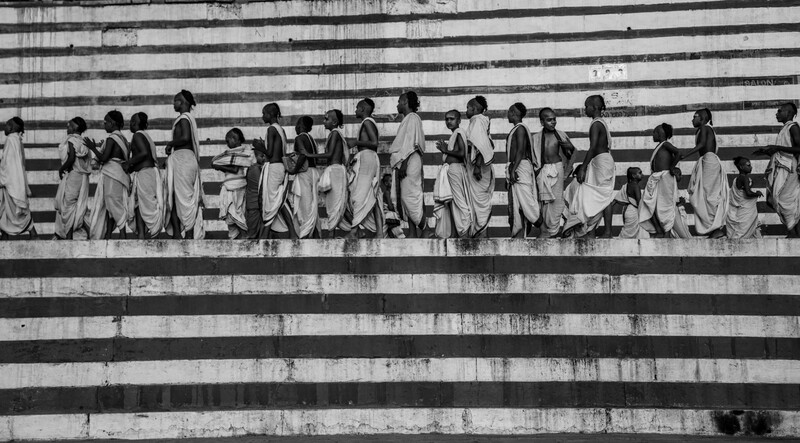 Your street images from India are both powerful and compelling. Can you tell us a bit more about these photos? What inspired you to travel there? I am really into traveling and Asia is always a colorful destination. I had not been to India yet and decided to check it out. It is such a big country with so many people! This time I am only on the road for two months but that is not enough. For good portraits, I try to go out when the light is nice. Mornings and late afternoons are the best moments but I am never searching for something particular. I mostly encounter nice situations coincidentally. I do not know why my compositions come out so good. I am a good observer and I like to watch people. It must be a natural talent, but I do try to stick to the rule of thirds. 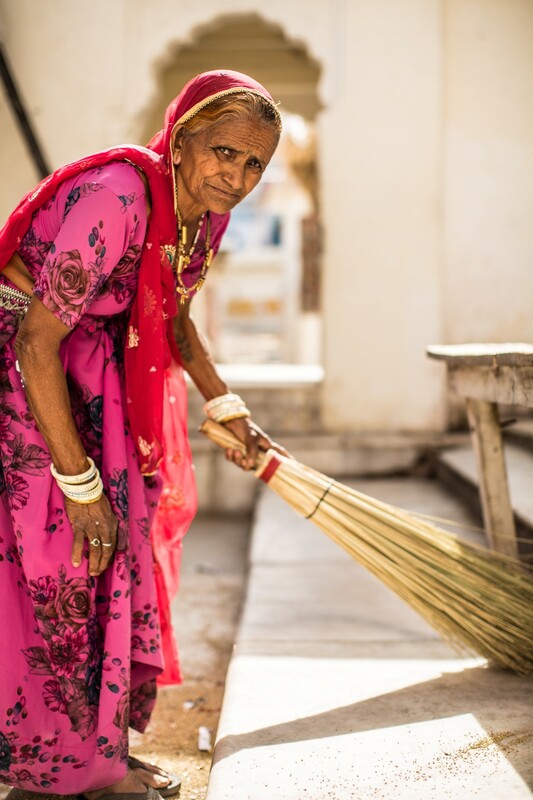 What was your experience like photographing people in India? Did you encounter any obstacles or was everyone receptive to having his/her photo taken? The first time when I am in a new country I always have to ‘come into it.’ With this I mean I need some time to find out how the people are and get over the fear of invading someone’s personal space, especially with portraits. I try to take pictures without asking so I can keep the moment as it was. But if I feel a person is skeptical or insecure, a smile can help a lot. In India most people like to be photographed. It also depends a bit on where you are. In very touristy places people are understandably a bit more negative towards ‘another tourist with a camera.’ In more remote places, most people are more open to be photographed and sometimes even ask for it. The photography industry is historically male-dominated although more and more women are entering the field. You have found success as a photographer. Do you have any advice on how women can break into the photography? First of all I think it is not about whether you are a male or a female. It is about your pictures. I am not dependent on my photography as I also work as a goldsmith so I am not experiencing any pressure or inequality. My tip for other women is: do not be afraid to show your work. Use social media. Offer your work to other people starting with your friends. If you are good they will ask you to takes some photos of them. That is how it started to roll with my own work. You shoot in both color and black & white. Which do you prefer? I really like black and white. Why exactly I do not know. It gives something extra to a picture. 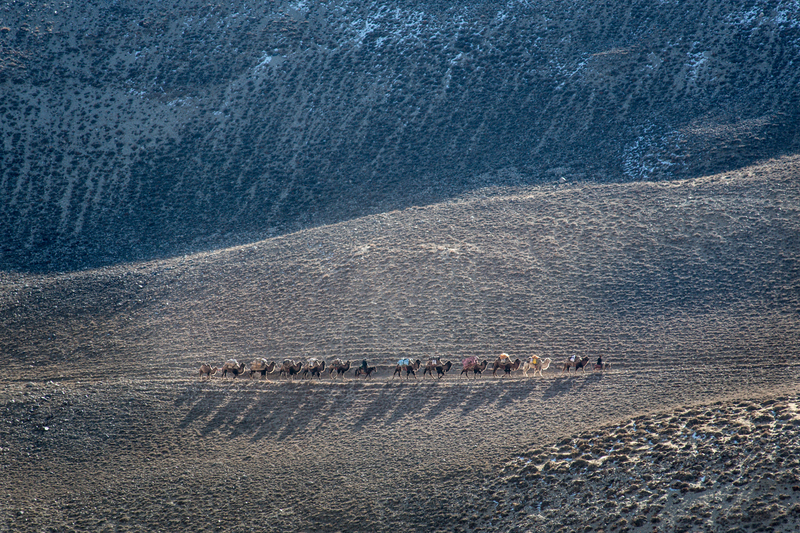 I am planning to travel on the Trans-Siberian Express this summer and hope to shoot some beautiful photos in Mongolia. There is a Fairmined (responsible mined gold) goldmine in Mongolia which I would like to visit for a photo shoot. As a goldsmith, I use Fairmined gold and it would be perfect to combine my photography work with my jewelry work. Currently, however, I am in Nepal photographing the local people. Thanks for being our featured photographer of the week, Nina! For more information about Nina, visit her website. All images © Nina Strategier.